Website redesign for an Academy Award® winning documentary film non-profit. 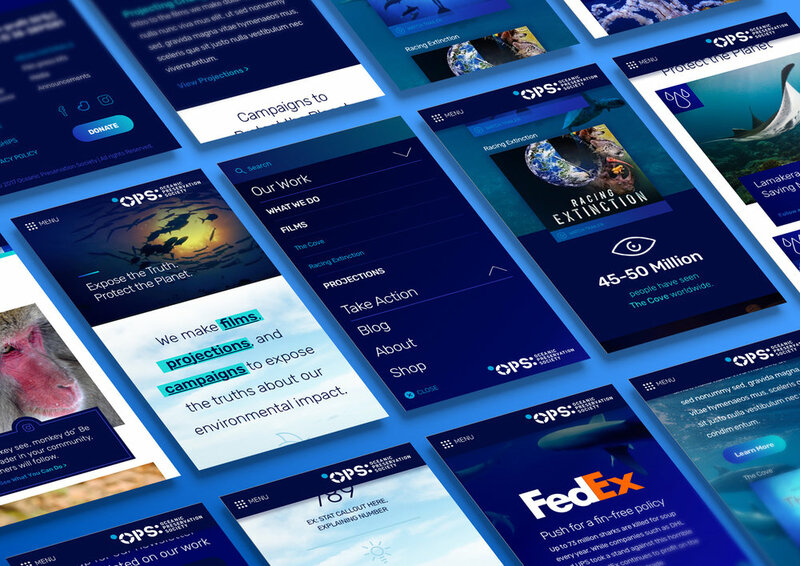 OPS is exposing the truths about our environmental impact. 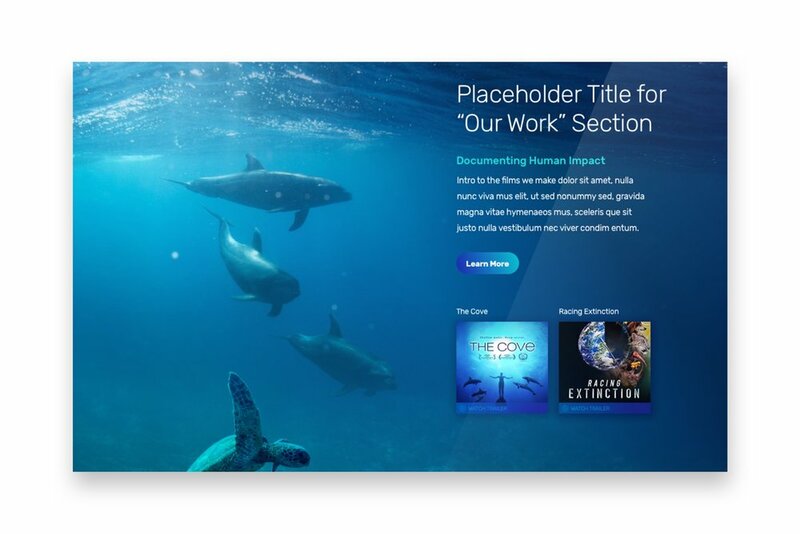 Creators of the award winning documentaries The Cove and Racing Extinction, The Oceanic Preservation Society uses films, projections, and campaigns to expose the truths about humans environmental impact. They needed a website that effectively showed their multidisciplinary work, while also reaffirm their place as thought leaders in the environmental space.